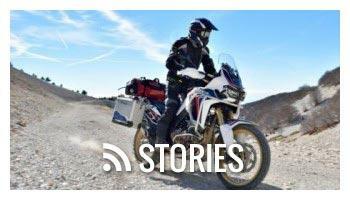 Packed with exciting technology, the R1250GS's more powerful motor is the highlight of this upgraded GS adventure bike. 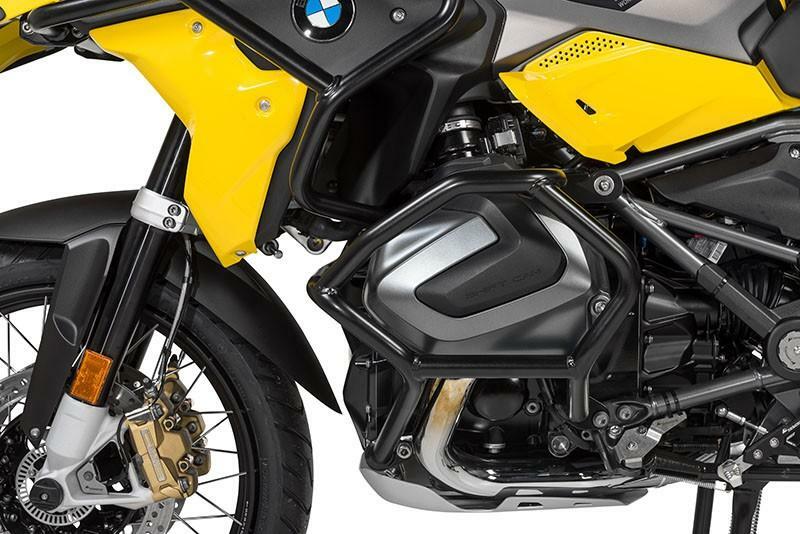 Give your BMW R1250GS the protection it needs with a set of stainless-steel Touratech crash bars. 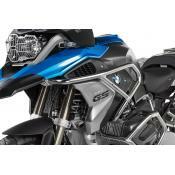 The valve cover and cylinder hit the ground when the R1250GS tips over, so crash bars are critical protection. 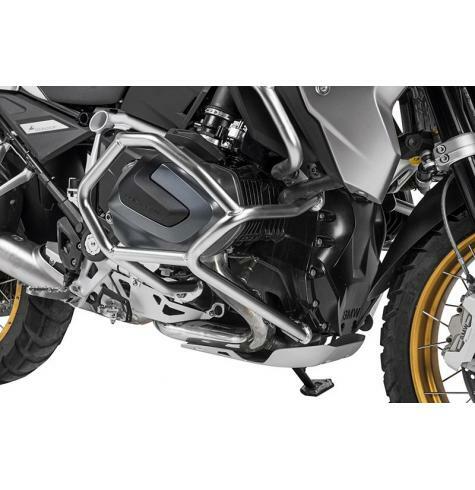 Touratech crash bars protect your engine with a stainless steel cage structure that wraps around the valve cover and cylinder of the R1250GS for complete coverage. 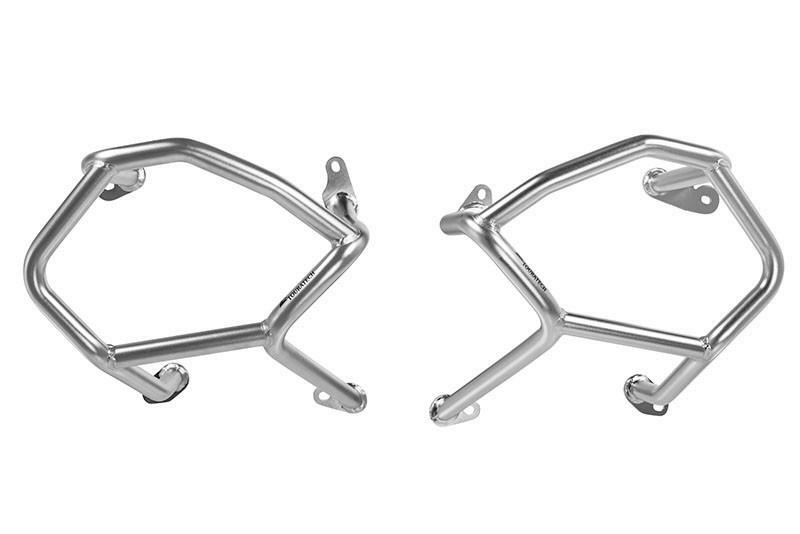 Made with 2mm wall thickness, 25mm (1 inch) diameter stainless steel tubing, these crash bars are engineered to take a beating and never let you down. 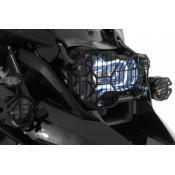 The stainless steel tubing cage completely wraps around the valve covers and cylinder head of the 1250's boxer engine, leaving no chance for it to contact the ground. 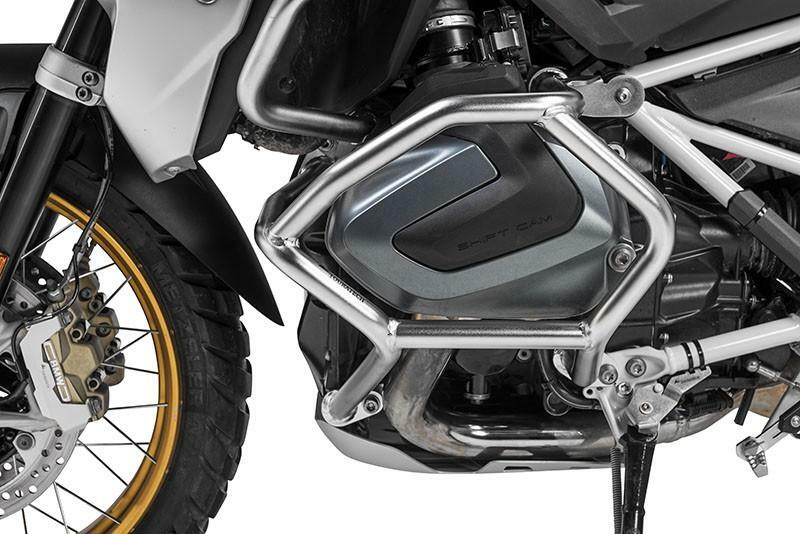 Touratech engineers take great care to keep the bars compact and low profile, to preserve the maximum lean angle of the BMW RR1250GS. 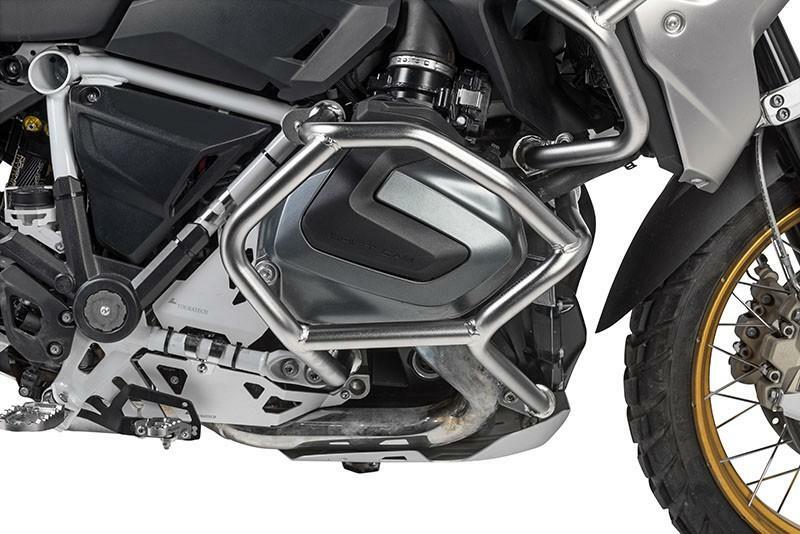 While other manufacturers promote bars that stick out far beyond the cylinder, it’s a bad idea because it compromises the lean angle of the motorcycle and makes it difficult to maneuver in tight situations. 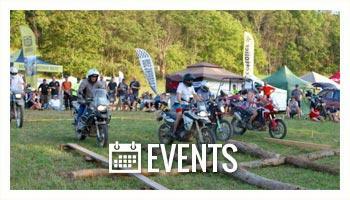 A crash bar built right should be strong, compact and in tight. 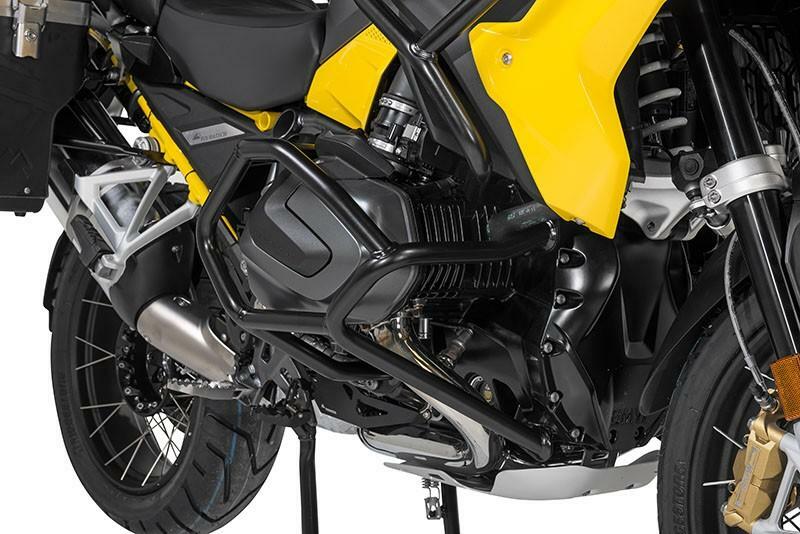 Touratech crash bars are designed to take the force of an impact, and transfer it around the frame and engine of your GS. 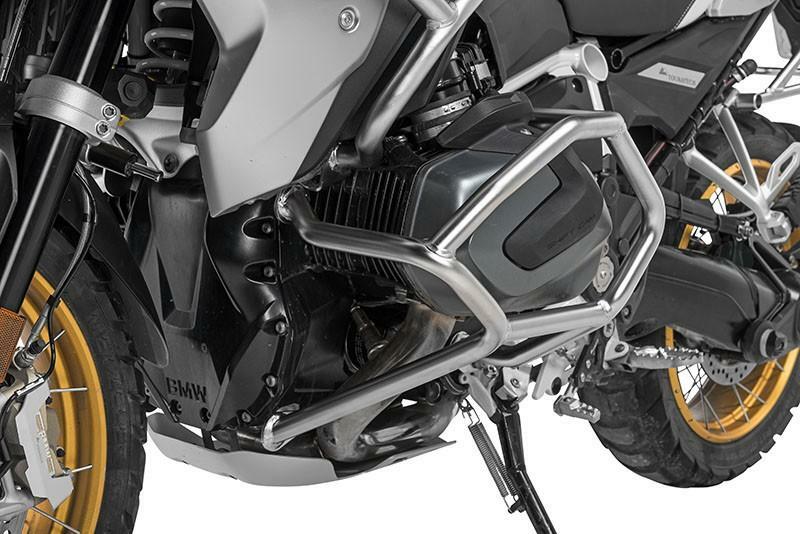 The team at Touratech has invested many hours of testing and design analysis to make sure these bars will prevent damage to your R1250GS. 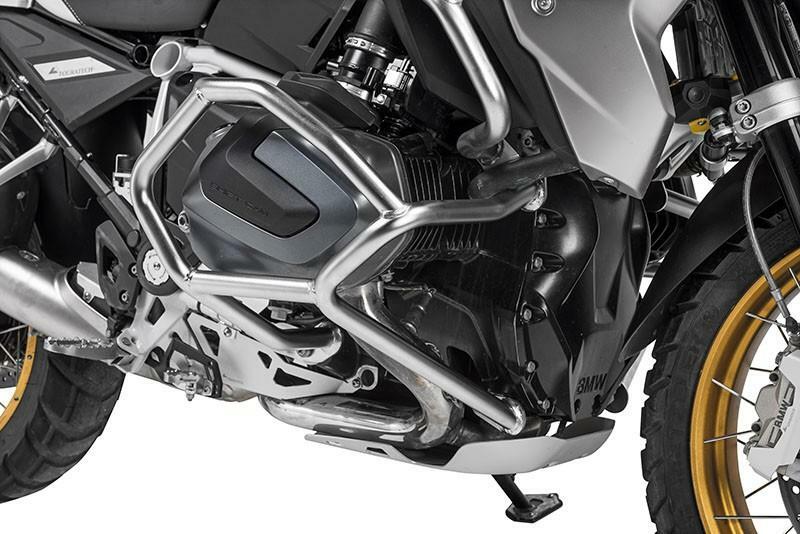 In addition to offering the ultimate in protection, the stainless steel tubing follows the natural lines of the GS accenting the distinctive look of this stylish boxer. 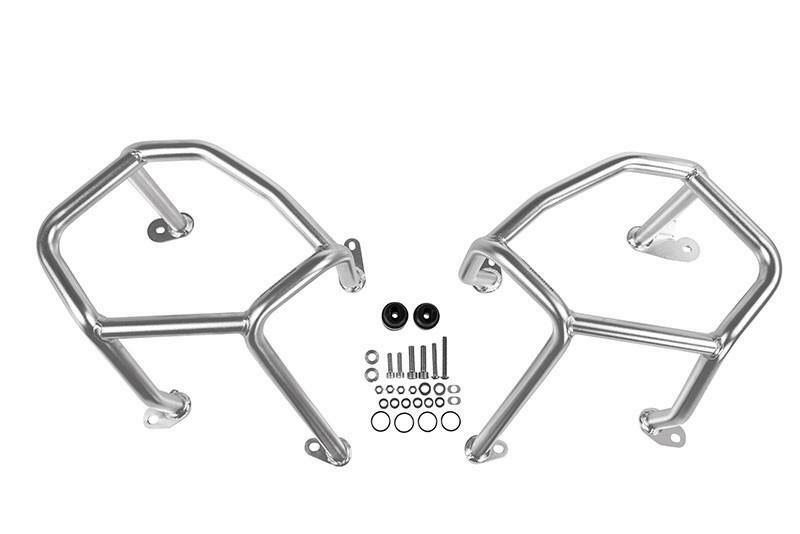 Installation and service couldn't be easier with these crash bars. 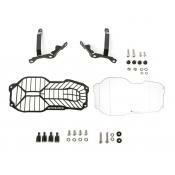 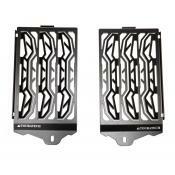 All necessary hardware is included with the kit. 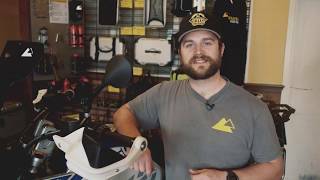 They're quick and easy to remove when it's time for your valve adjustment, and do not need to be removed for oil changes. 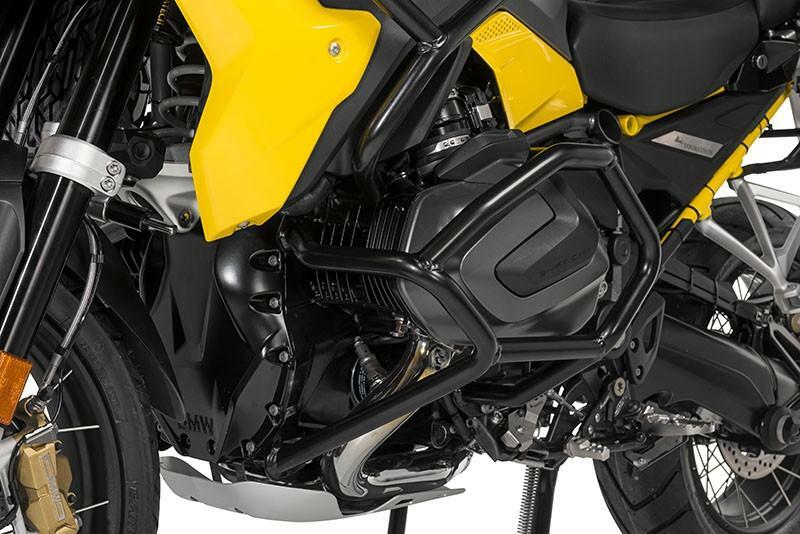 With Touratech crash bars, you'll never have to remove the engine mounting bolts for installation or service. 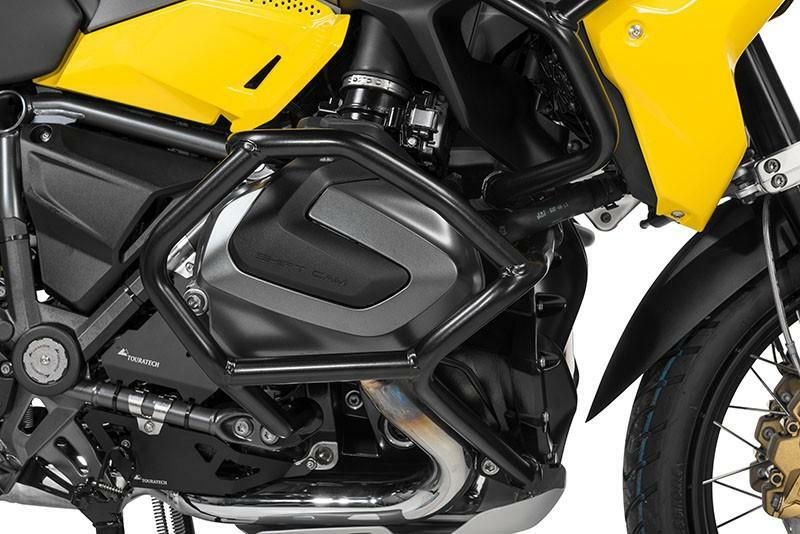 Extend the protection from your crash bars up to the radiator and fairings, by adding the optional Touratech upper crash bars.